Welcome to Day #8 of Chocolate and Almond Theme Week. 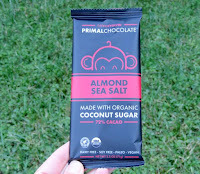 Today's Primal Chocolate Almond Sea Salt dark chocolate (72% cacao) bar was made by Eating Evolved (Setauket, NY). I like a bar that can convey balanced sweetness with less sugar. I believe "salt," if added, should not eclipse other flavors. I will buy almost any chocolate item with a monkey on it. 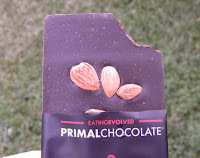 This 72% cacao, coconut sugar sweetened dark bar resonated with the preferences mentioned above. It had smooth, authentic chocolate flavor, without a sugar buzz. It was dairy free, soy free, paleo, vegan, and organic. 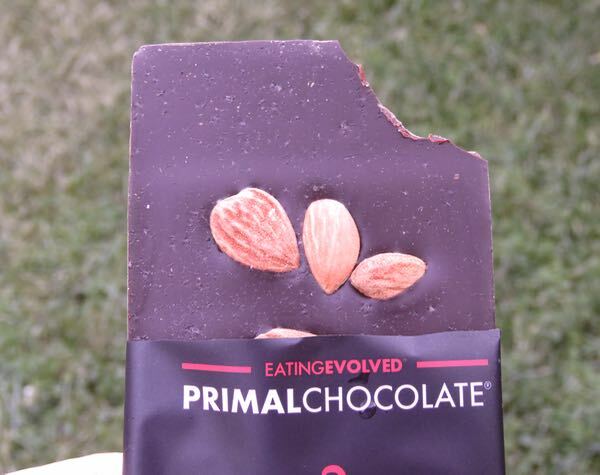 And while there was no explicit claim of this bar being gluten free, there were no gluten-containing ingredients listed on the label. 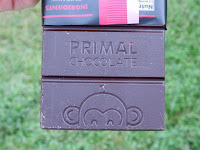 And, having a monkey on both label and bar did not hurt either. 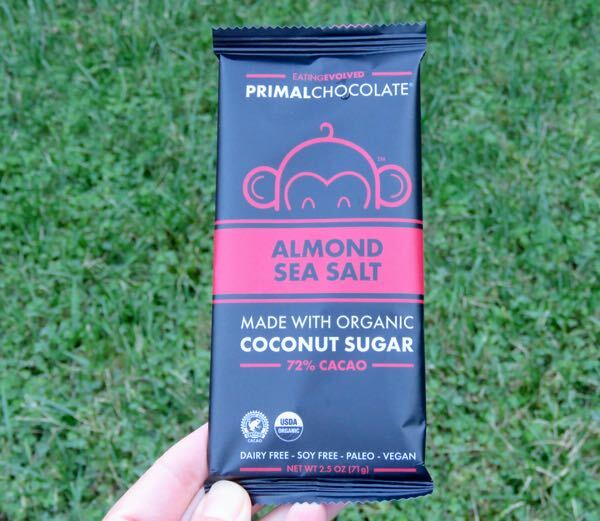 *Today's bar contained five ingredients: organic cacao, organic coconut sugar, organic cacao butter, organic almonds, and Himalayan sea salt.